Abington Hospital in Abington, Montgomery County. 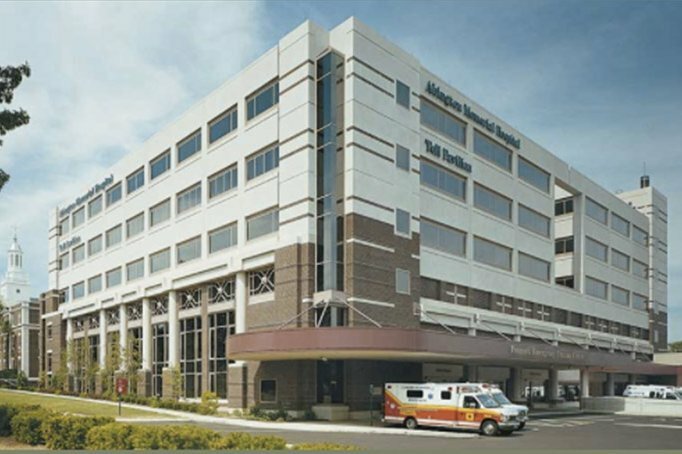 A Montgomery County hospital will pay more than half a million dollars to resolve allegations stemming from an employee's theft of controlled substances. Abington Hospital agreed to pay $510,000 to settle allegations that its controls and practices enabled a staff pharmacist to take prescription medications for illegal use, according to the U.S. Attorneys Office in Philadelphia. The hospital is putting a program in place to prevent future prescription theft. The hospital, known as Abington Hospital–Jefferson Health since its May 2015 merger with the Jefferson Health System of Philadelphia, informed the U.S. Drug Enforcement Administration in 2013 that a pharmacist in its inpatient pharmacy had stolen large amounts of controlled substances. Between Feb. 1, 2010 and Aug. 20, 2013, the pharmacist took more than 35,000 pills, including oxycodone and other highly addictive painkillers, according to federal prosecutors. A subsequent DEA audit revealed the pill count discrepancies, missing or incomplete medication inventories, and altered or missing drug records – all violations of the hospital's responsibilities under the Controlled Substances Act and federal regulations. In 2015, the pharmacist, Renata Dul of Pottstown, Montgomery County, pleaded guilty to 25 counts of possession with the intent to distribute oxycodone, according to the U.S. Attorney's office. She was sentenced to six years in prison and three years of supervised release. Dul's pharmacy license was automatically suspended by the state for at least 10 years for the felony conviction, according to state records. The plan implemented by the hospital, which cooperated with the DEA and the U.S. Attorney's office to address the deficiencies, includes upgrading inpatient pharmacy computer systems, physically enclosing the controlled substances vault, and installing new and additional security cameras and badge swipe access. Moreover, the hospital has hired and trained a full-time, lead supervisor pharmacy technician to monitor controlled substances from ordering to dispensing.